Desire is a dynamic energy! Desire becomes a disease only when the energy flow is blocked by suppression. This is a dynamic meditation technique which will throw out all the suppressed emotions in you and cleanse and energize your mooladhara chakra. Practice this technique in the morning, preferably on an empty stomach. This technique is like taking a psychological bath! If you want to test the efficiency of this technique, go and have your picture taken today. After 21 days of practising this technique, have another picture taken and compare the two! I assure you, your face will look completely different! You will have blossomed. Your eyes will have become more pleasing. You will also see a deep silence expressing in your eyes. The 30 minute technique here is called Dukkha Harana Dhyana (Destroyer of Misery) heals the chakra which is at the base of the spine. This mooladhara chakra is said to be blocked by fantasy and expectation and is cleansed by welcoming or embracing reality! For the first 10 minutes, you will work with your breath. Your mental system is made fully alive by deep breathing and the increased intake of oxygen. 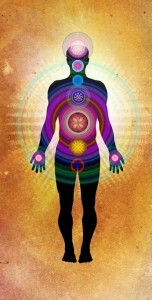 Your cells will get more energy and you will create more bio-electricity or bio-energy. This energy will melt all the repressed emotions like melting ice. The subconscious will be thrown open. It is like fanning the flame of the mooladhara chakra. Stand with your eyes closed and legs slightly apart. Bend your knees and get into a semi-squatting position. Now start breathing deeply and chaotically from the depths of your body, always through your nose, with your mouth closed. In chaotic breathing, there is no definite rhythm. There is no need to control your breath. Just breathe as deeply as you can. During chaotic breathing, when the body intelligence is allowed to take over, the body will take in however much oxygen is needed. As you breathe, repeatedly bend your knees and straighten them, moving your whole body up and down. This will create a powerful pumping action which directly hits the mooladhara chakra and throws out the suppressed energies. Simultaneously, move your hands up and down like a bird in flight. Do the movements gently and synchronize your inhalation with upward movement and exhalation with downward movement. With every breath, tell your muscles very clearly to melt and be rid of all the recorded fantasies! Understand, physically. Don’t just try to tell them – tell them! When you are doing this, be very clear, your muscles are melting and clearing the fantasies which are recorded inside you. If you have a cardiac problem, or are pregnant, or have had a recent ailment or surgery, do this technique only as much as you can without discomfort. Otherwise, put your whole energy into it! Keep your eyes closed and tense each part of your body, part by part, limb by limb, and then let it relax. Tense and relax one limb, and then move on to the next. Relax each part fully before you move on to the next. Start with your feet, then move on to your legs, then your thighs and hips. Next, move to your stomach, then your lower back, then to the chest and upper back. Move to your arms, working from the fingertips to the shoulders. Next, work on the neck and shoulders, the facial muscles, and finally the top of the head. At the end of this exercise, you will find that you have become vacant inside; you will feel cool, calm and composed. Sit upright with your eyes closed. Gently chant the sound hooooo. This is known as the hoomkara. There is no need to chant it loudly and deeply. Just chant in a relaxed manner. As you chant, just witness whatever happens inside and outside your being. The first two parts of this technique are a actually a preparation for the third part, which is the actual meditation. When you come to the third part, you will see that the mind becomes silent effortlessly, by itself. Silence cannot be forced upon you; it can only happen by itself. Remain in this relaxed state with a smiling face and a blissful mood. During this time, there may be many experiences. Just watch them as you would watch the television; with a detached interest. Watch your mind thought by thought. Breathe normally. Don’t concentrate on anything. Meditation is not concentration. Meditation is awareness. So just be aware of your thoughts, witness what happens inside your body and outside your body.